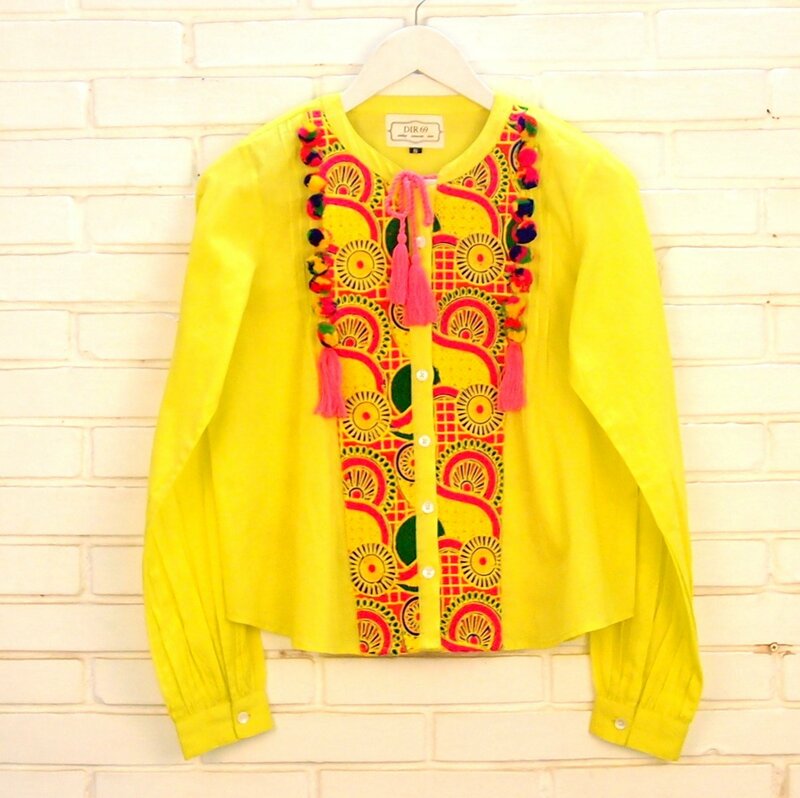 Flaunt your unique bohemian spirit with this bright and cheerful button down shirt! 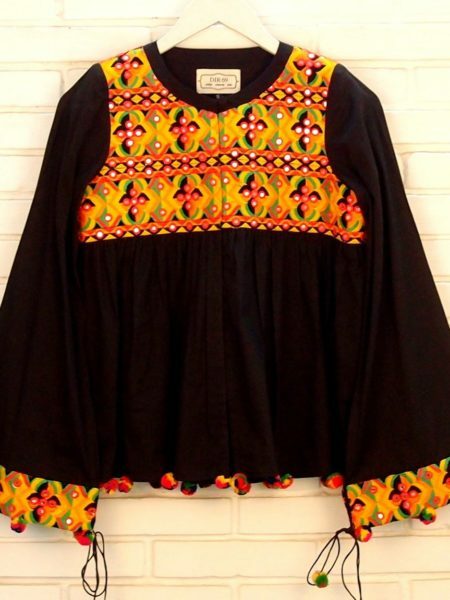 This blouse has a stunning folk embroidery big yoke all the way to the hem. 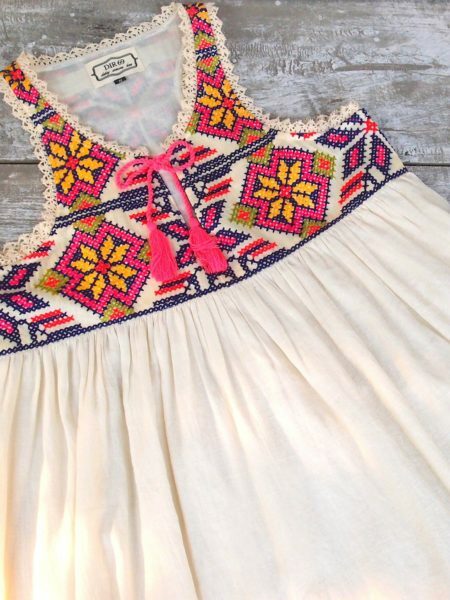 The sides of the yoke is highlighted with multi colored pom poms and bright tassels. This top is made in fine quality cotton fabric which has a soft drape. 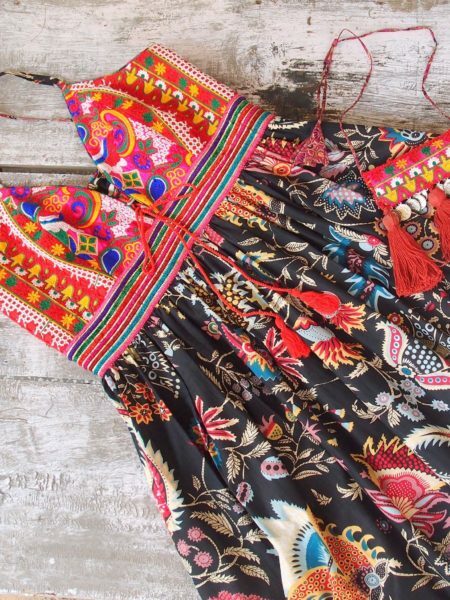 There are pin tucks on the sides of the yoke till the chest. The full sleeves have slim cuffs and a mother of pearl button closure. The shirt is front open and has delicate mother of pearl buttons and a bright draw sting closure in front. 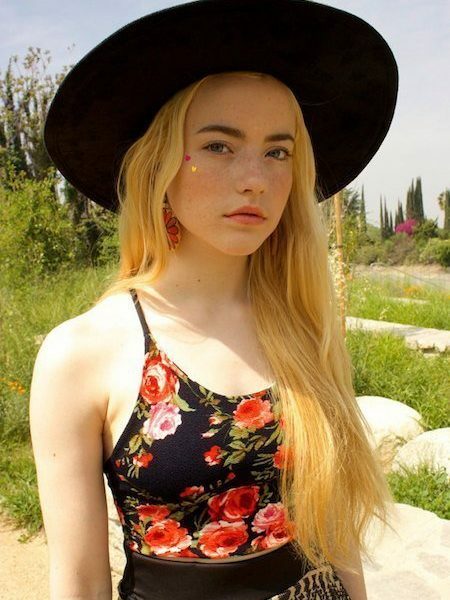 The bottom of this top is slightly curved. 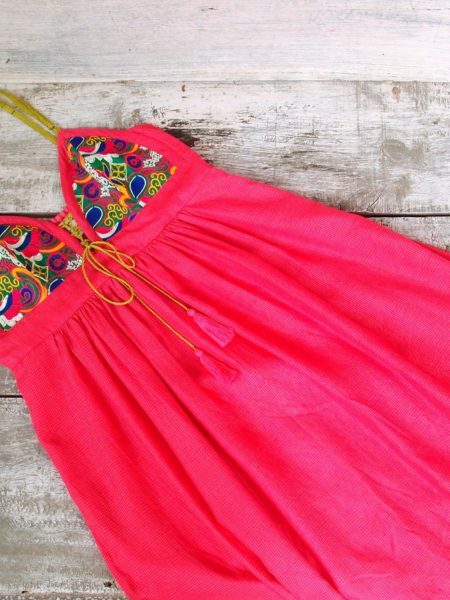 Perfect to wear with flared jeans or shorts!